You may have figured out a few things about me by now. 1. I live in one of the most beautiful areas in the world. The forests of Flagstaff, the red rocks of Sedona, and one of the seven wonders of the world that is the Grand Canyon are where I get to play. 2. 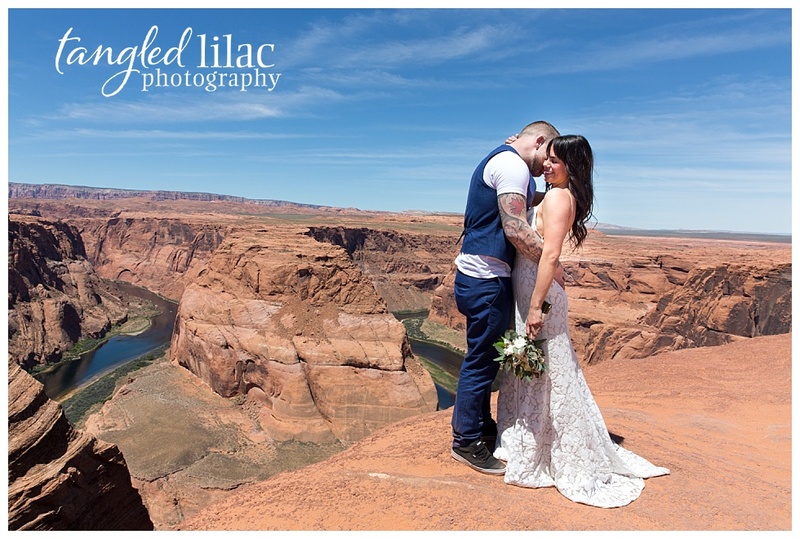 I’m lucky enough to get to spend my days preserving memories for brides and grooms with the jaw-dropping backdrops these natural playgrounds provide. 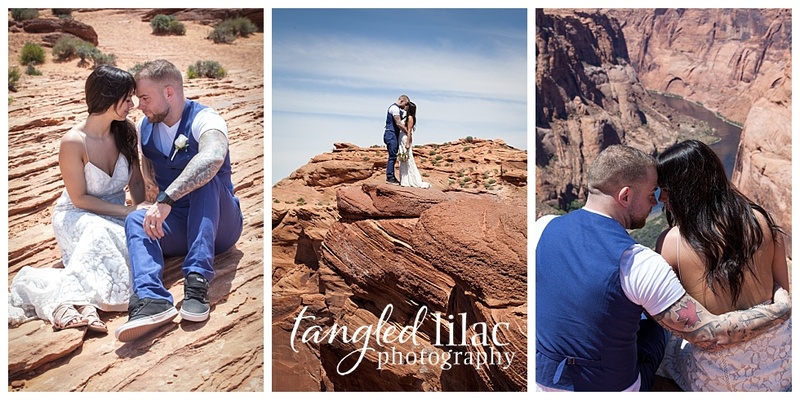 One of the most frustrating things for me is the lack of information about how to elope to the Grand Canyon. 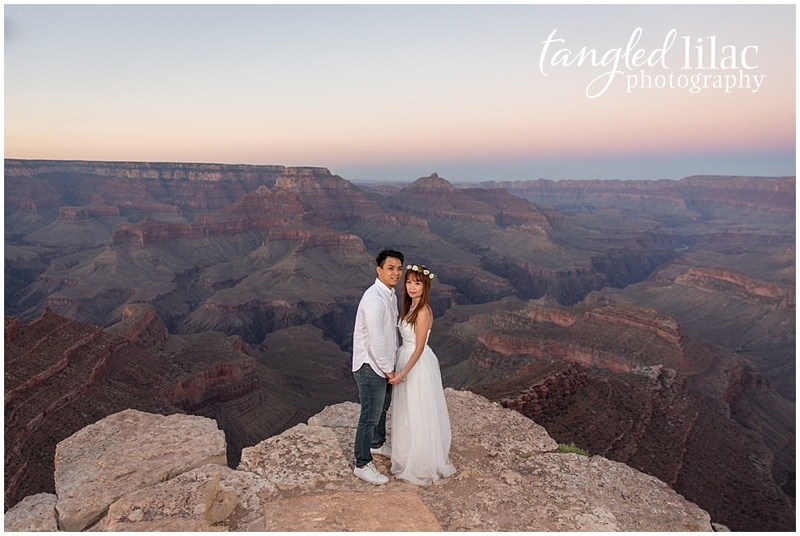 I get lots of emails and phone calls from couples from all over the world trying to navigate their way towards marital bliss at the Grand Canyon, but by the time they find me, they are usually confused. Well, I am about to right a wrong. 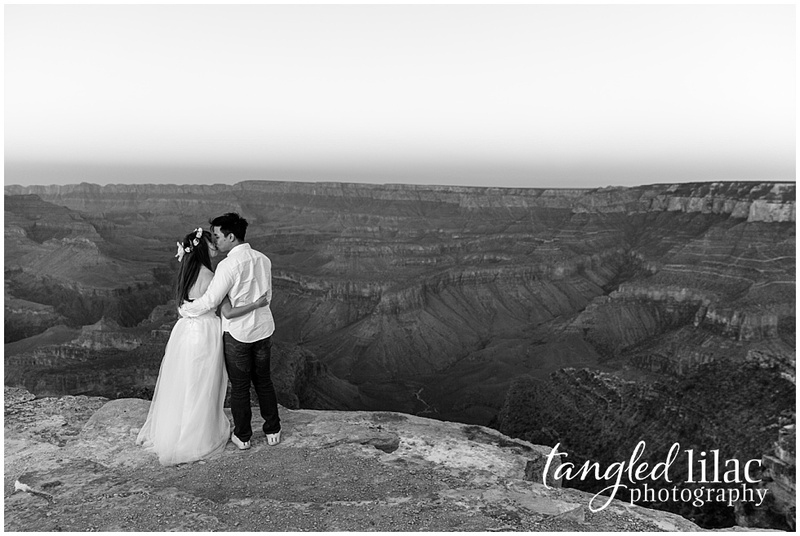 Let me begin by saying you can’t just show up and get married at the Grand Canyon. 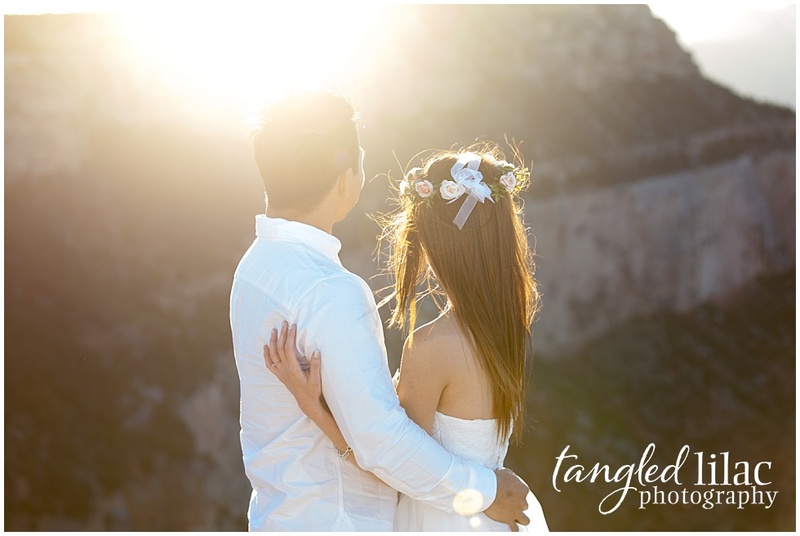 It requires a permit and only certain locations are available for weddings – whether you are eloping by yourselves or traveling with an entourage. 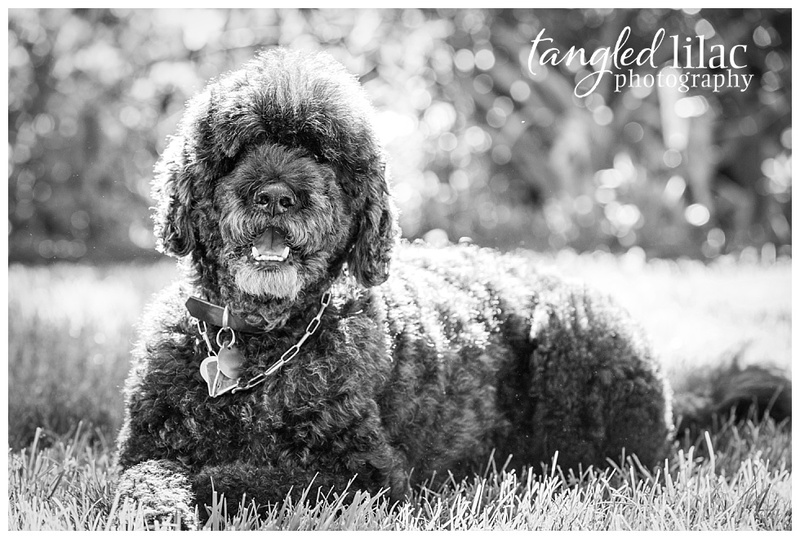 If you have questions or want help getting your permits, email me at melissa@tangledlilac.com. 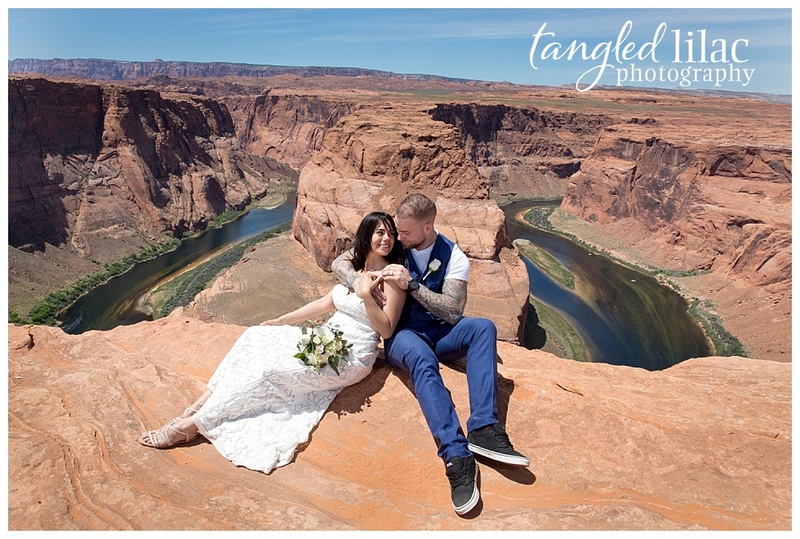 I am happy to walk you through the process of planning your Grand Canyon wedding and give you tips on how to start the process. I even know some great planners who can help you along the way. 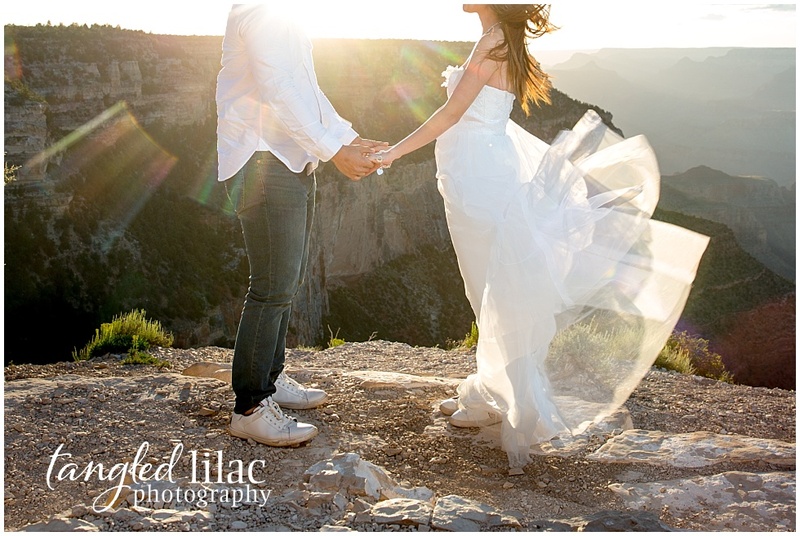 Click here to review the National Park Service guidelines for getting married at the Grand Canyon. 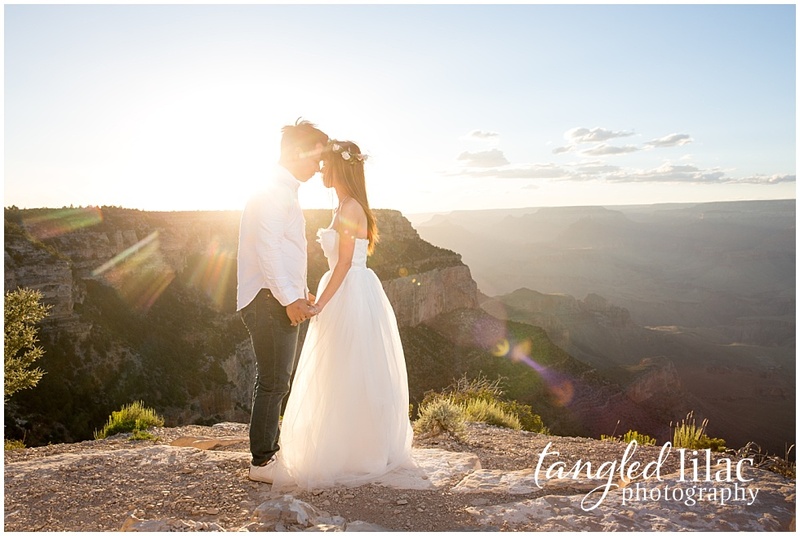 Click here to get the actual permit to get married at the Grand Canyon. Allow FOUR WEEKS to get the application processed. 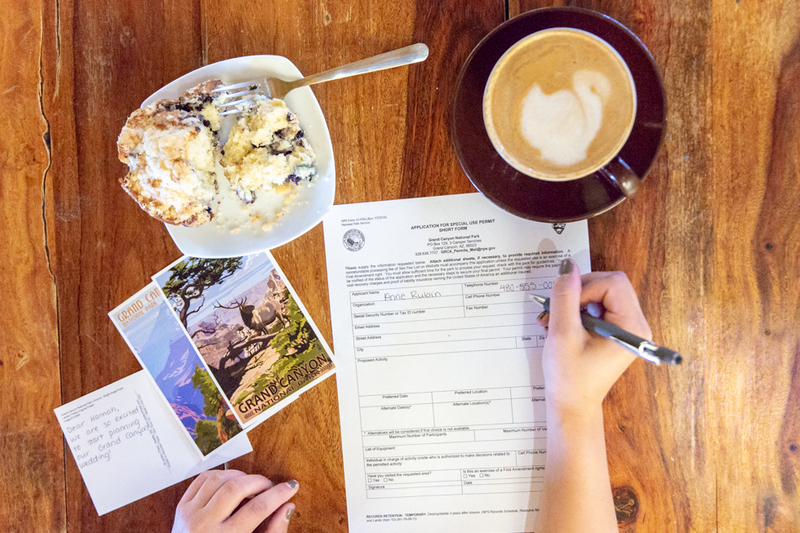 Email your Grand Canyon wedding permit application to grca_permits_mail@nps.gov. The Grand Canyon is entrusted to the care of the National Park Service. As such, there are fees to help maintain and preserve the natural lands for future generations. Permit fees are based on an annual cost recovery analysis conducted by Commercial Services. These fees include the cost of permit processing, administration and the basic monitoring of events. 1. Do not include payment information on your application submission. You will receive detailed online payment instructions after the receipt of your application. 2. Larger events or other special uses that require additional management and/or administrative time will incur additional fees at $65.00 per hour. 3. Remember to allow FOUR WEEKS for processing. 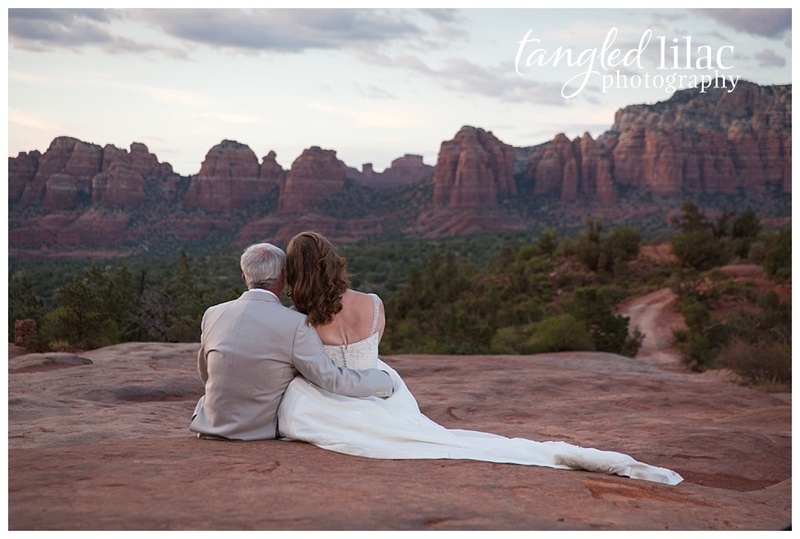 Typically, your officiant will help you obtain your marriage license. 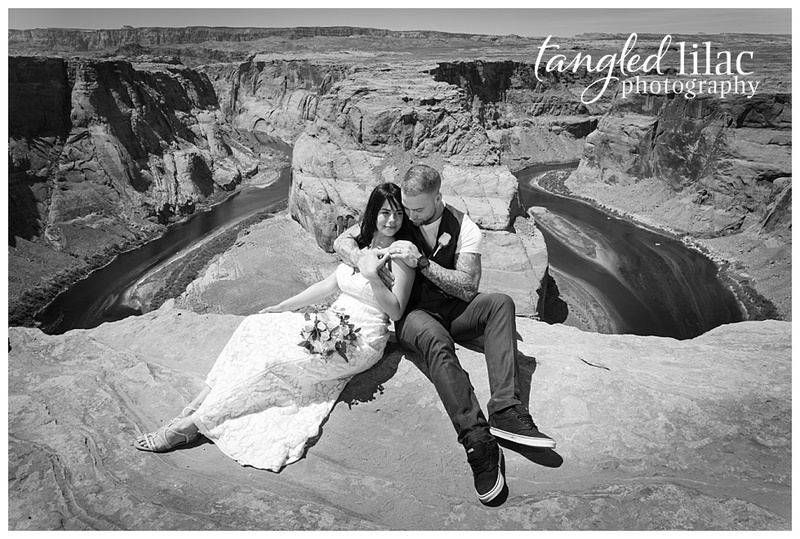 You’ll need someone authorized to perform a Grand Canyon wedding in Arizona. 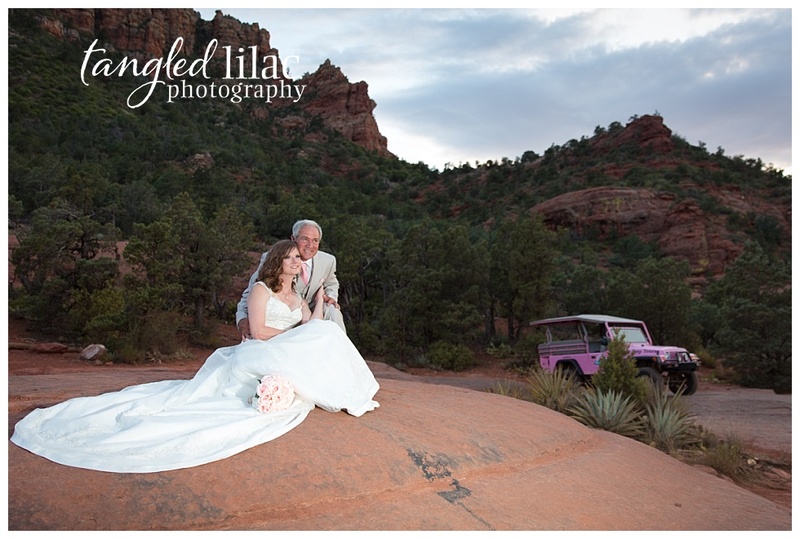 If you need help finding an officiant for your ceremony, please call Phil or Gwen at Arizona Ministers. They are the sweetest, most caring individuals and I know you’ll love working with them. In Arizona, both parties have to show up in person to get the marriage license. Flagstaff and Williams are popular choices due to the proximity to the Grand Canyon. 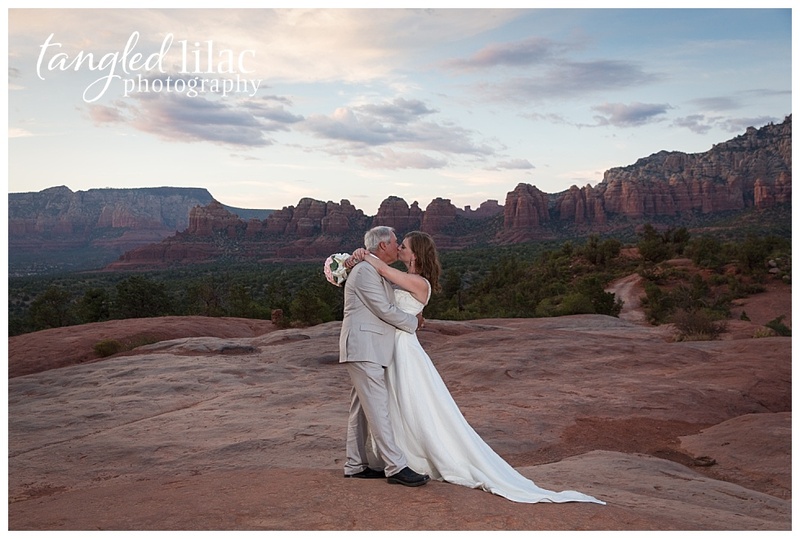 Click here for a link to marriage license information in Coconino County. 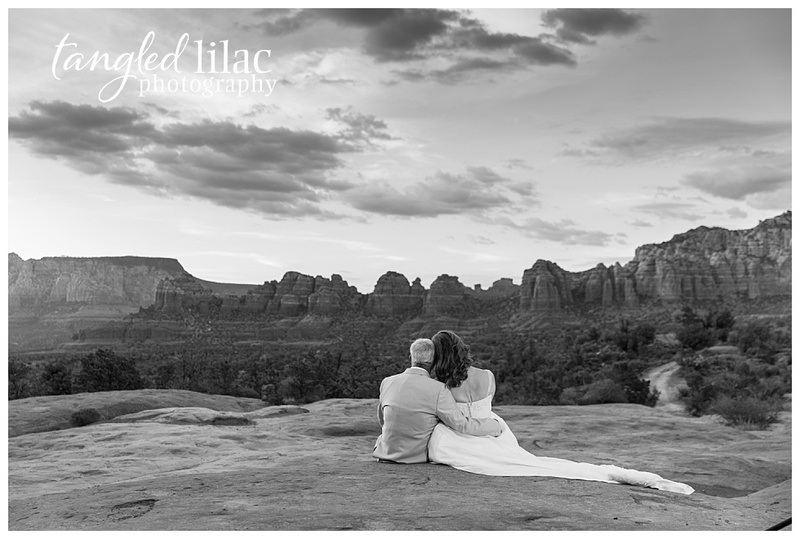 In Phoenix, click here to make an appointment to get your marriage license. If you are traveling from Las Vegas, you’ll have to wait until you get to Arizona to get your marriage license. Mohave County allows a marriage license by mail for US citizens only, with some restrictions. It’s all happily ever after once you get your application processed and have your marriage license in hand, right? Well, not quite. 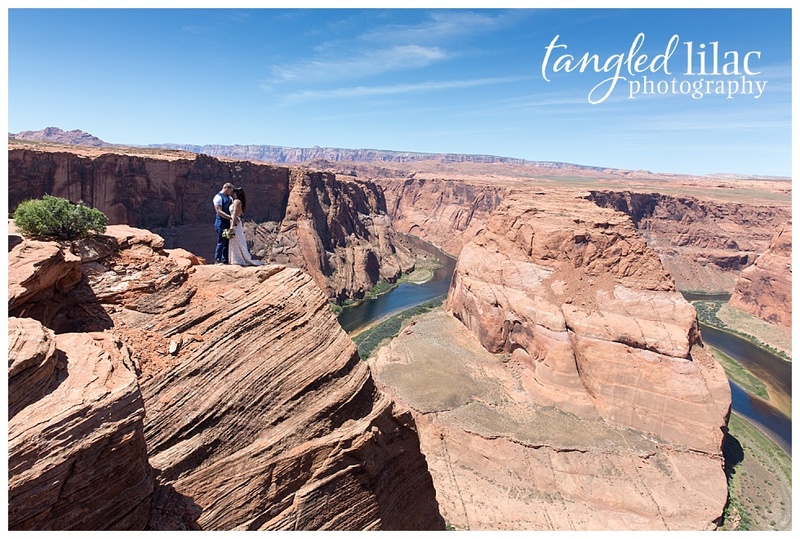 There are only certain spots available for weddings at the Grand Canyon. And you’ll need a list of vendors that will travel to the Grand Canyon to provide services. 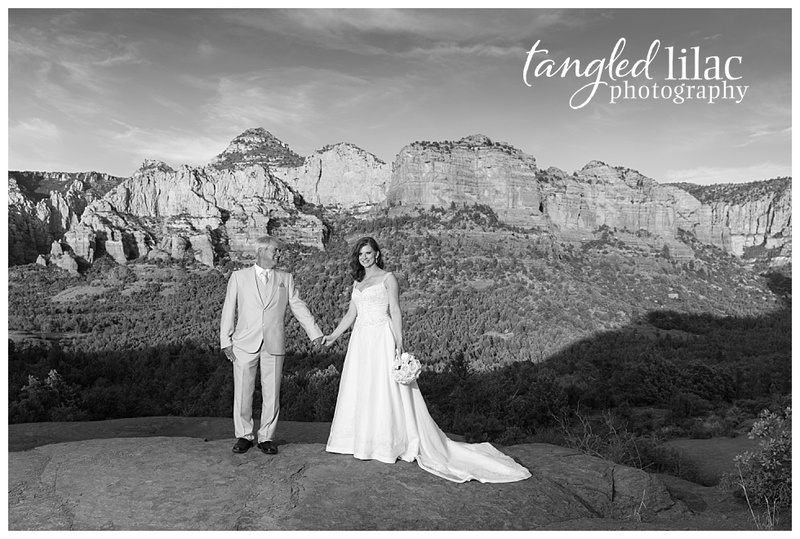 Over the next few weeks, I will be sharing how to pick the perfect Grand Canyon wedding spot and exactly what you need to know to plan the perfect Grand Canyon wedding. Stay tuned. When I’m done, you’ll have everything you need to make your special day the day of your dreams. Meet Alvin and Cheryl. 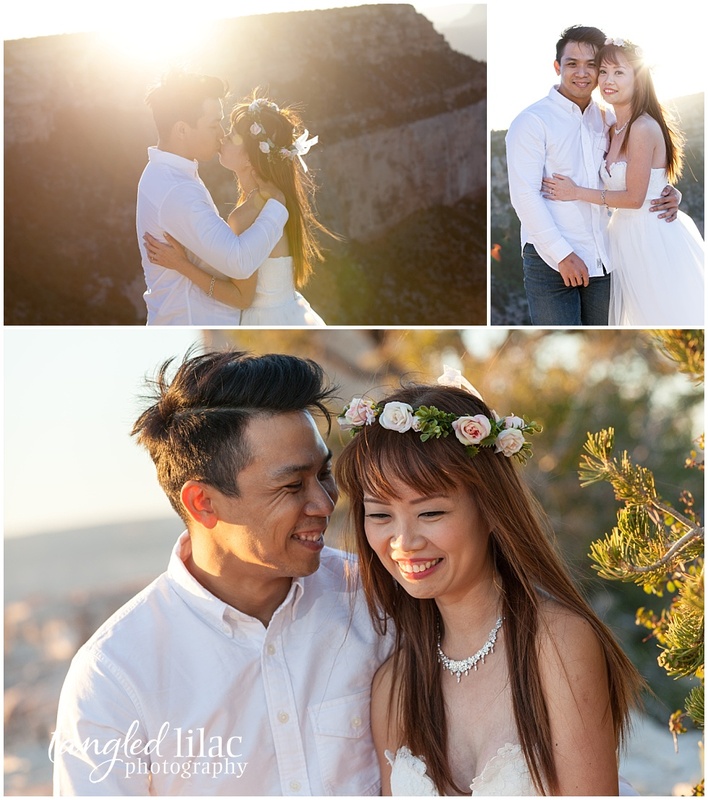 They came all the way from Singapore to get married at one of the seven wonders of the world. 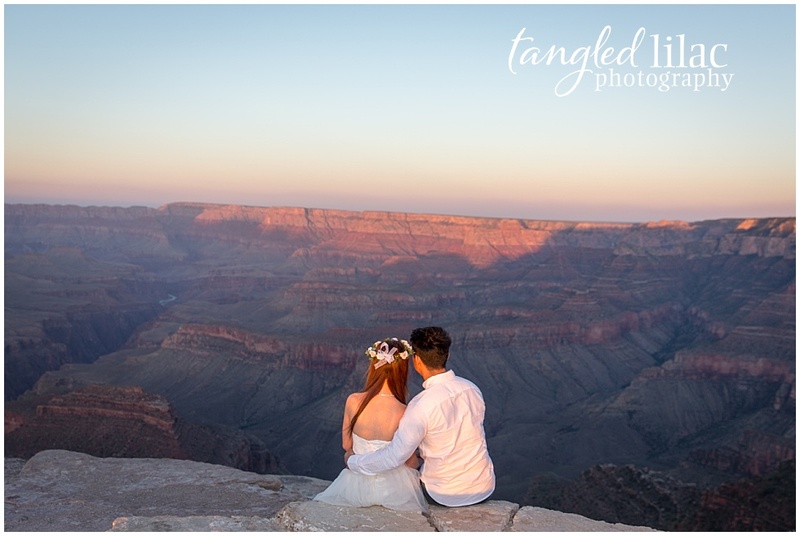 Shoshone Point is not only one of my favorite spots, it also happens to be a favorite of couples eloping to the Grand Canyon. 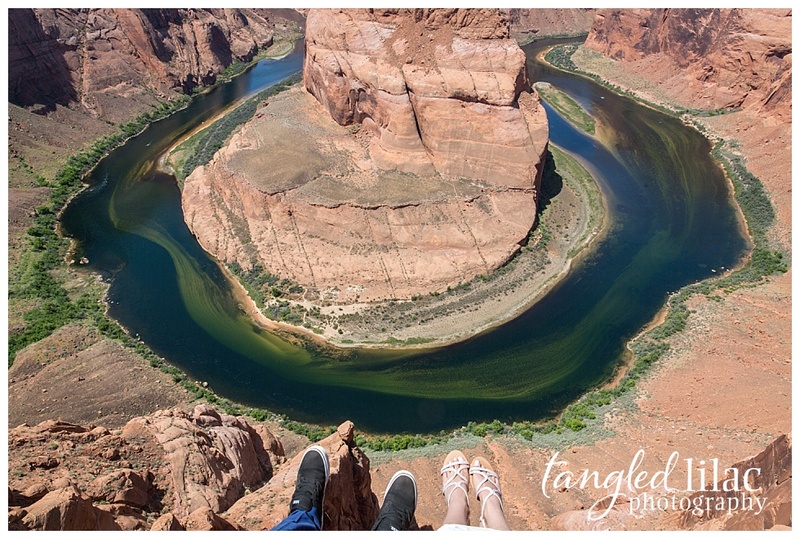 Couples interested in eloping to the Grand Canyon should know that you can’t just show up. Permits are needed and fees must be paid. 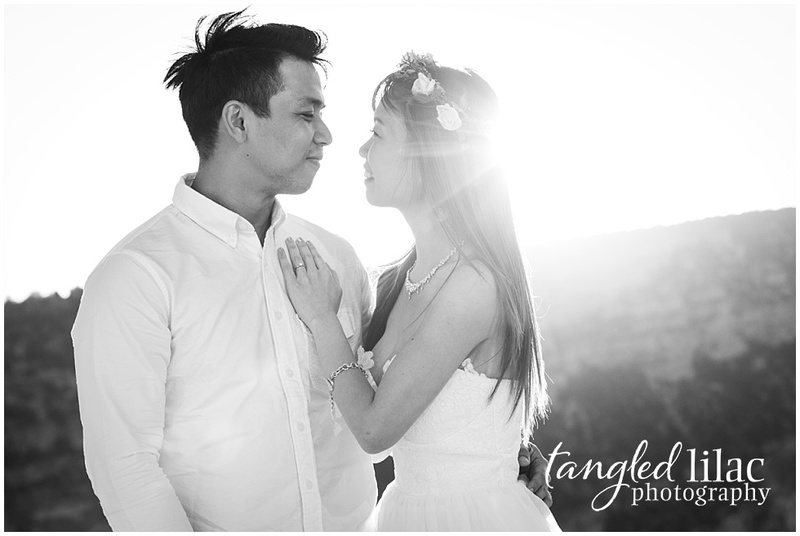 You’ll also want to make sure and arrange any services (like a great wedding photographer ) ahead of time. Shoshone Point lies at the end of a jutting peninsula East of The Village. 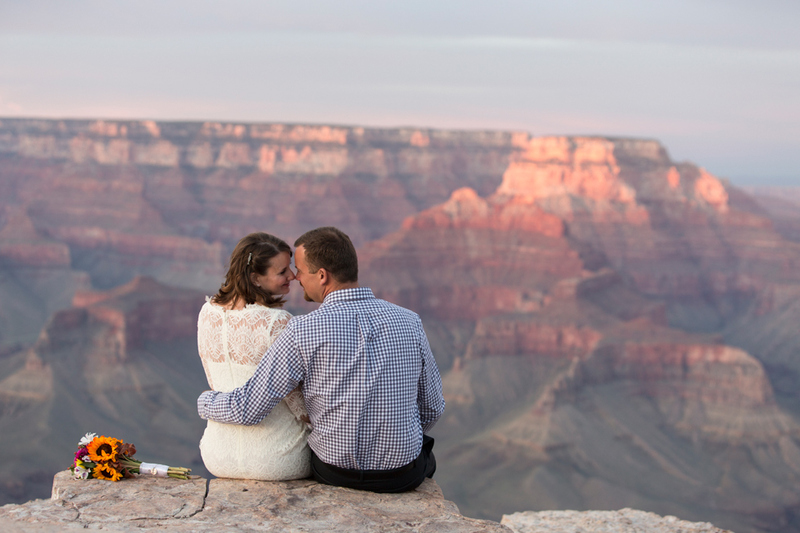 Every location at the Grand Canyon has stunning views, but Shoshone Point provides the most spectacular. There is a large Ramada complete with BBQ and restrooms at the point that can be reserved from May to October, making it the perfect spot for wedding ceremonies. Take the Desert View Drive 1.2 miles east of Yaki Point (just beyond mile marker 244). Find the unmarked pull off on the north side of the road. Park and begin your journey to magical views with an unrivaled display of colors. The trailhead to Shoshone Point is about one mile each way. The path follows a fairly flat graded dirt road. It is slightly uphill on the way in which makes getting out a bit easier. 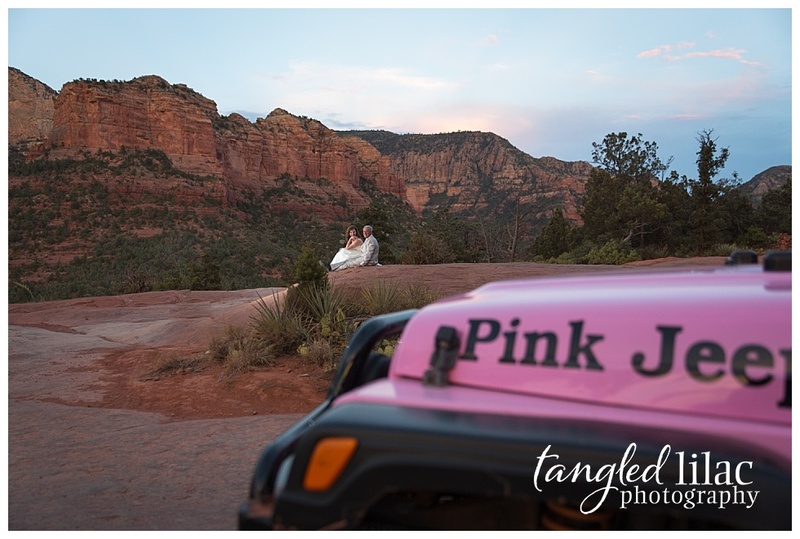 With your wedding permit, you’ll be given the code to the gate and have the opportunity to drive up the road and park near the rim. One of the best reasons to pay the extra fees to secure Shoshone Point is it will seem as if you have the canyon to yourself. It is so much fun hanging out with a couple that is giddy with excitement. You can see how much they adore each other and how much fun they have together in the pictures. 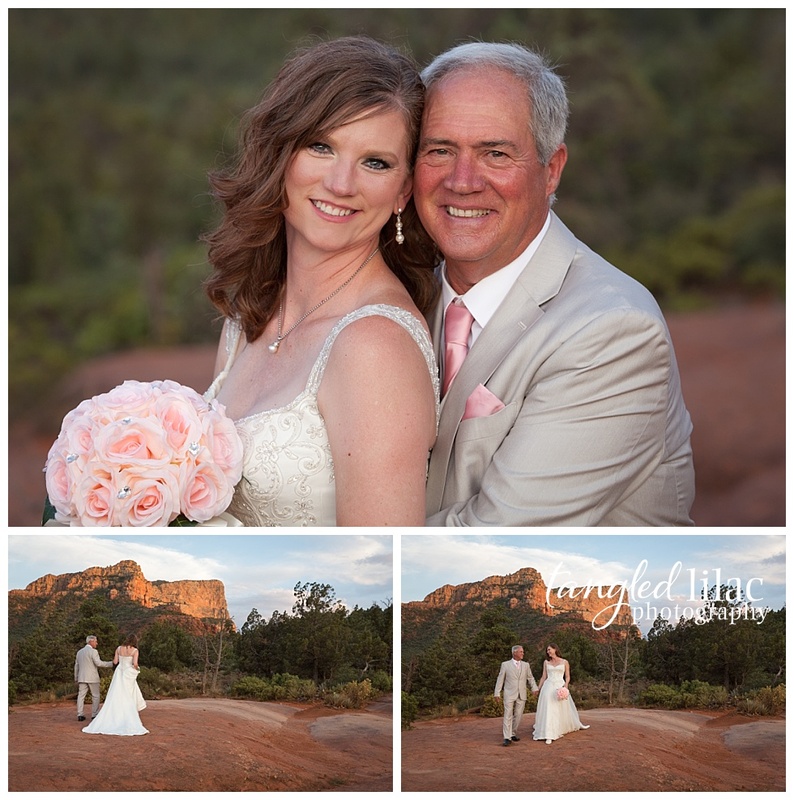 Alvin and Cheryl made it easy to capture stunning pictures. 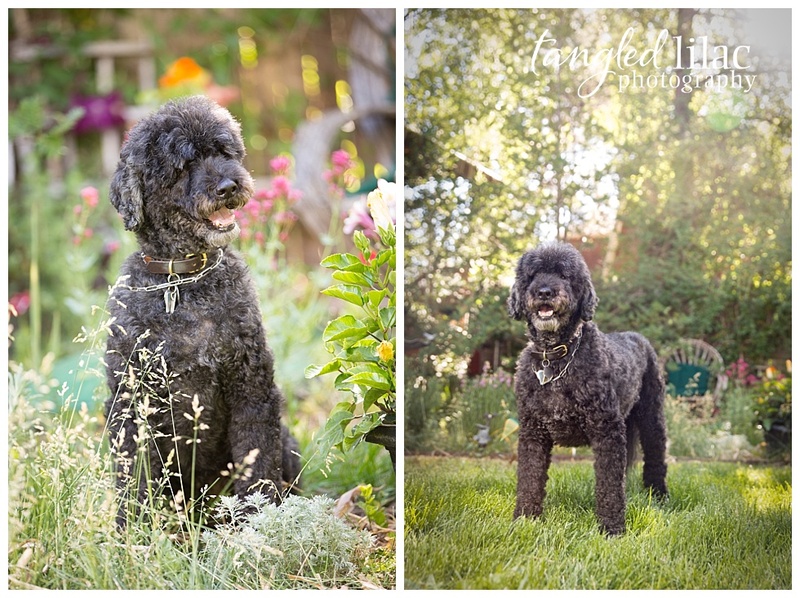 They were naturally at ease in front of the camera. In fact, I’m pretty sure they forgot I was even there. 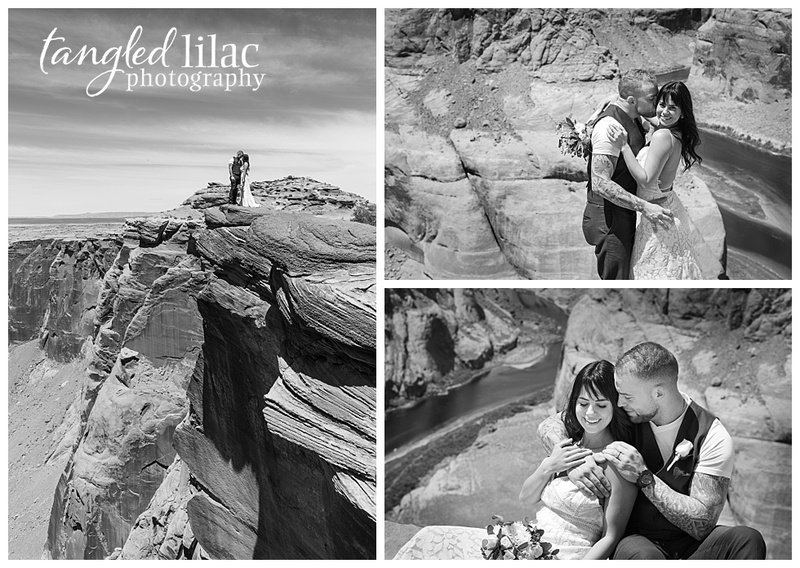 Luckily they were not afraid of heights because the ceremony and many of the photos were right on the edge of the Canyon. 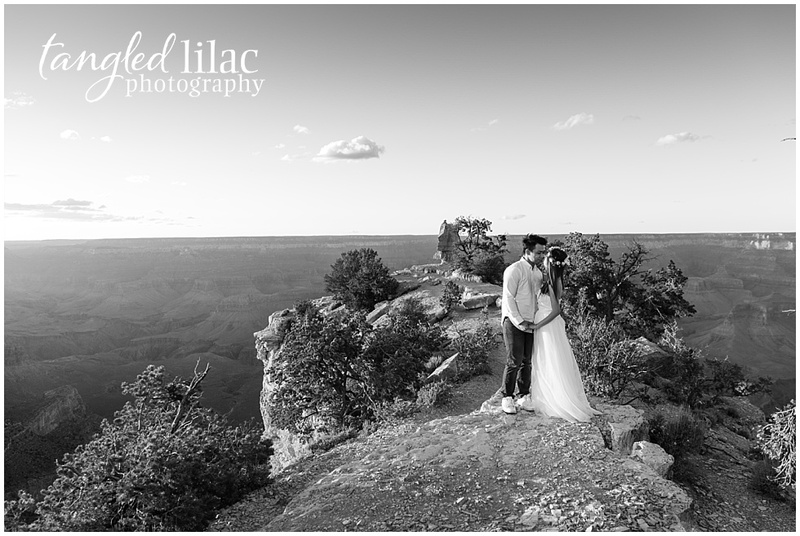 It’s important that you work with a wedding photographer that knows the Grand Canyon. As the sun begins to set, the shadows often create false ledges, so be careful! 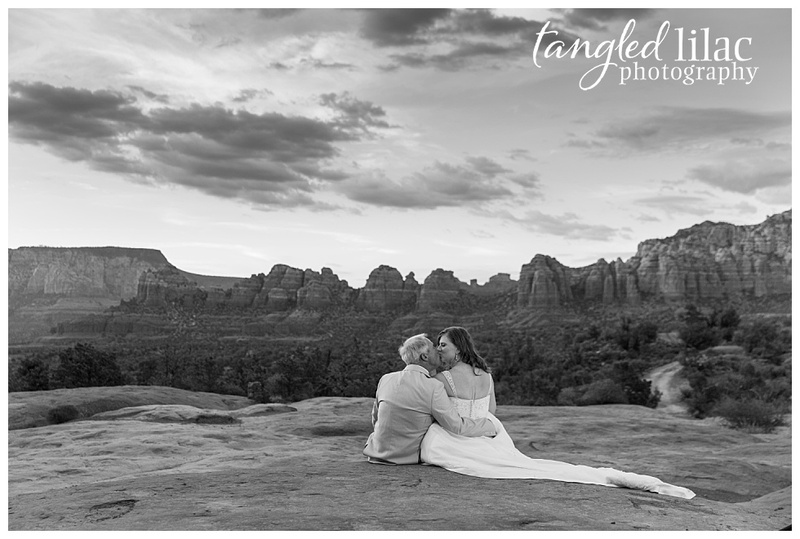 In the end, though, you will have breathtaking images that will capture this special time. 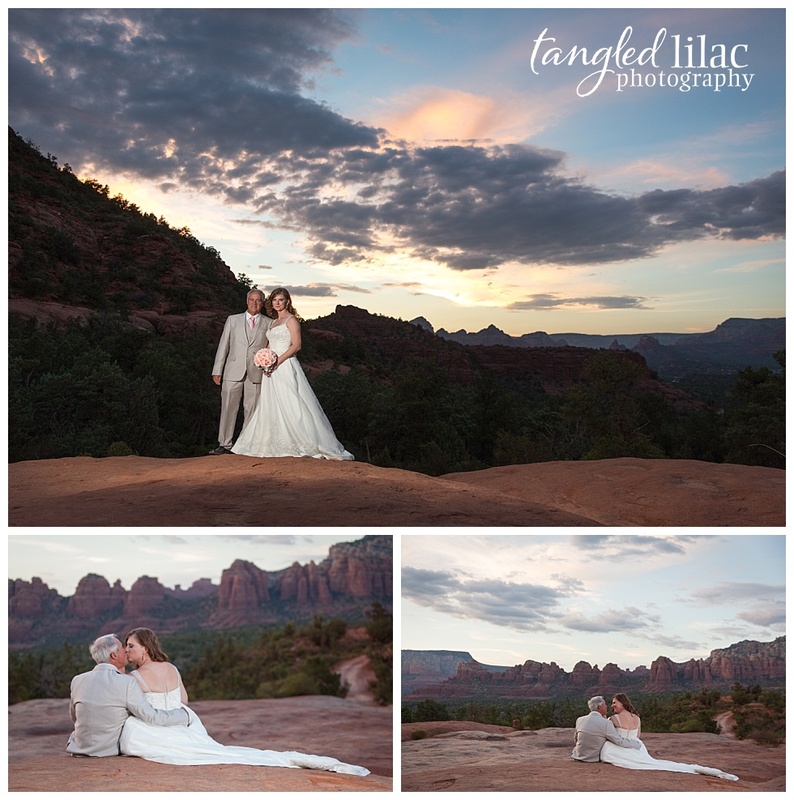 The best time of day for pictures is an hour before sunset, which also happens to be the hottest time of day. Make sure and bring plenty of water and some good walking shoes. 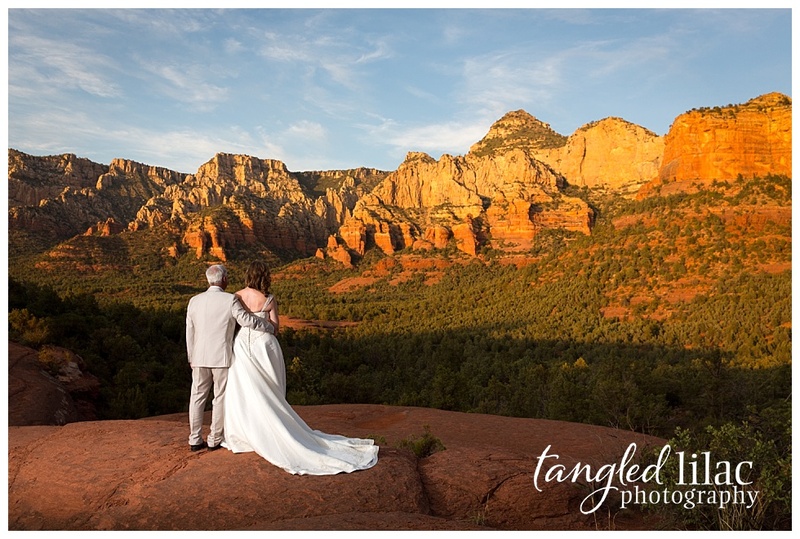 Consider the heat and the hike when choosing your wedding garb. Some people choose to change into their finery after the long hike. 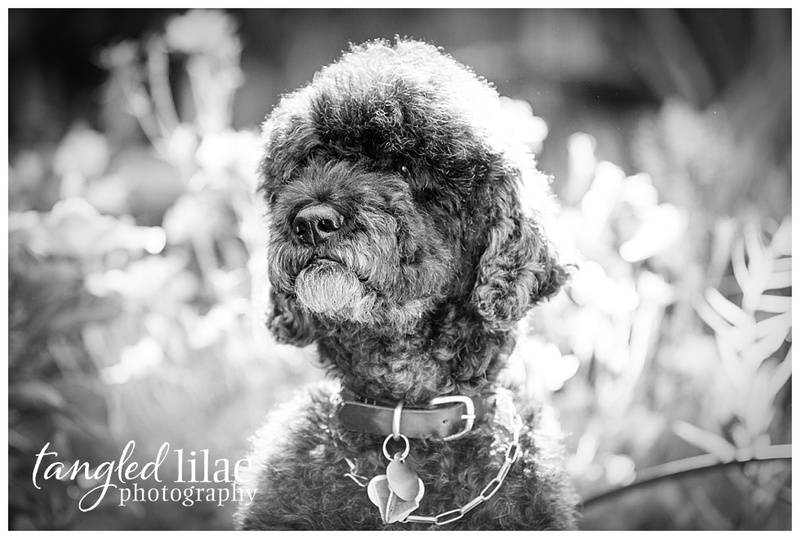 I always make a point of including some black and white images when I photograph a wedding. 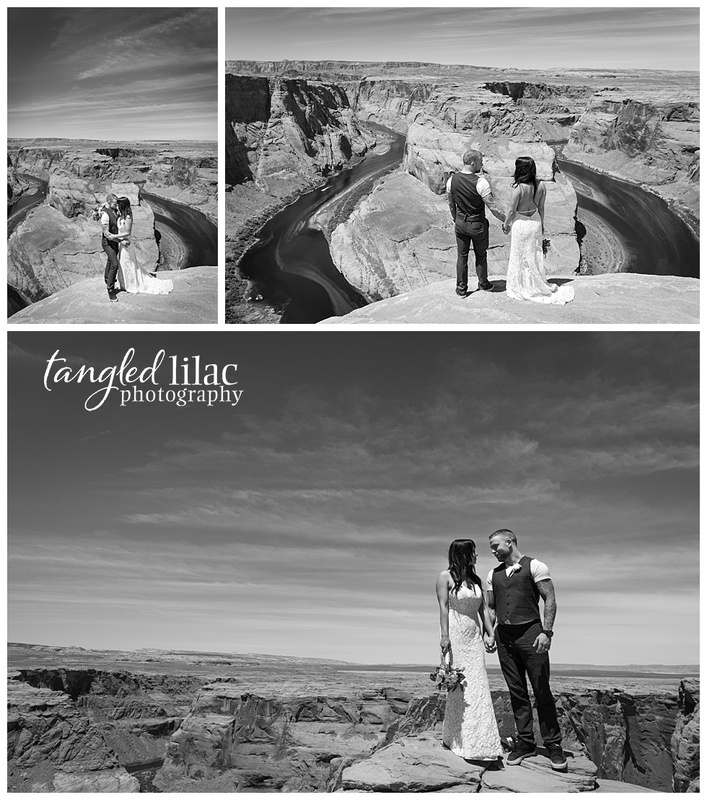 It may seem odd to photograph the Grand Canyon and its beautiful array of colors in black and white, but there is a timeless feeling that is difficult to reproduce in full-color images. Alvin and Cheryl were such good sports. 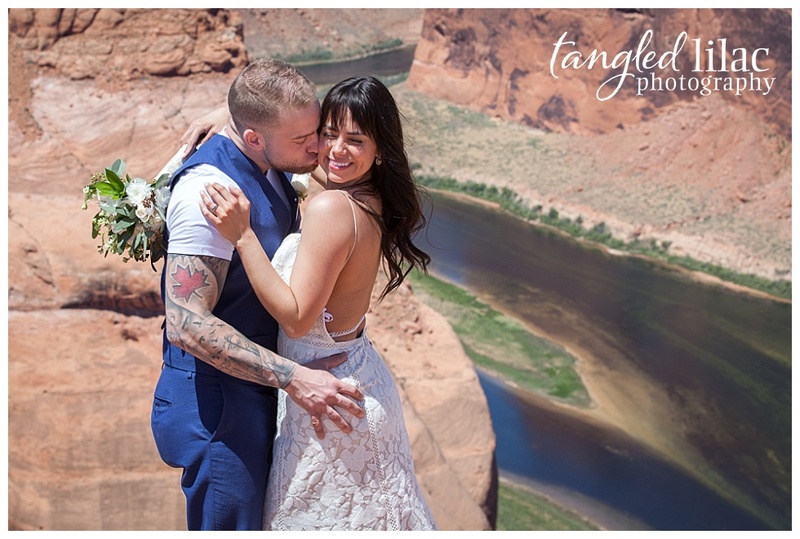 They were so happy to be getting married at the Grand Canyon, they didn’t mind all the little extras it took to get just the right shot. They are one of those couples that makes you love being in love. It’s infectious. 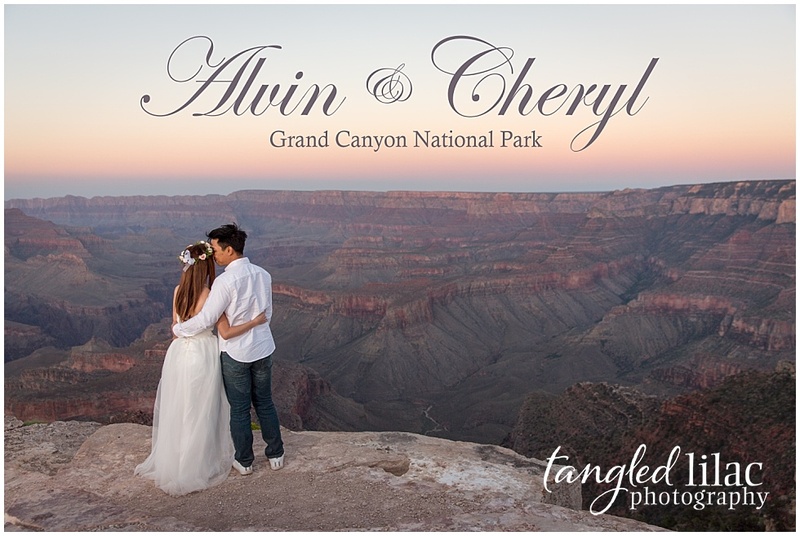 Congratulations, Alvin and Cheryl! 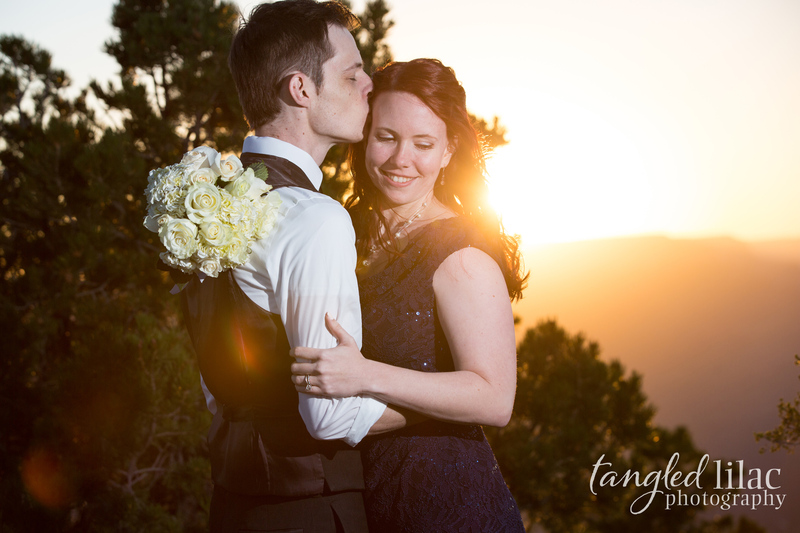 I am so grateful to have been witness to such a beautiful day. Mirror, mirror on the wall … Who’s the fairest of them all? You, of course. And we have the photo booth to prove it. Tangled Lilac is pleased to announce the Reflection Photo Booth. The full-length mirror includes a user-friendly interface guiding guests through the process for an engaging and fun experience. This isn’t your mother’s photo booth, either. The Reflection Photo Booth is truly unique and interactive and guaranteed to take your event to the next level. What makes Reflection Photo Booth Different? Add emojis, write messages, and even choose your backdrop when you upgrade your package. The magical mirror will walk you through everything you need to do to make your one-of-kind keepsake. Get unlimited copies and even text the photo to yourself to share online. Reflections Photo Booth is brand new digital photo booth that allows you to customize and capture your special day to make it an event to remember. Customized Templates are available to keep your wedding, fundraiser or convention, fundraiser front of mind. 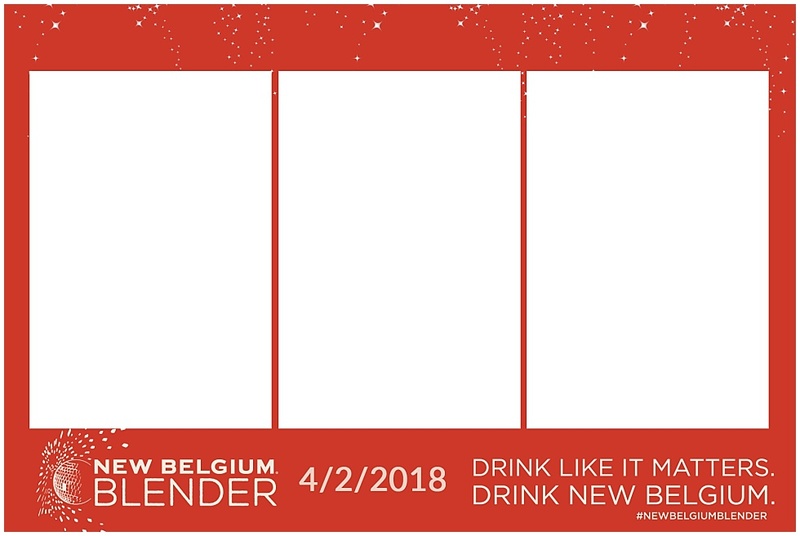 Here’s one I recently created for an upcoming event in Phoenix for everyone’s favorite beer company, New Belgium. Photo booths, with all their props, backgrounds, and catchy themes are hugely popular. Well, Reflections Photobooth takes the photo booth experience to a new level. The images from our photobooth provide more than just a great keepsake, they actually have huge benefits beyond the photo. Have you been to an event with a photo booth? Then no doubt, you waited in line to join the fun and had a blast getting to know other guests. If you’re anything like me, you may have even invited strangers into your photo. 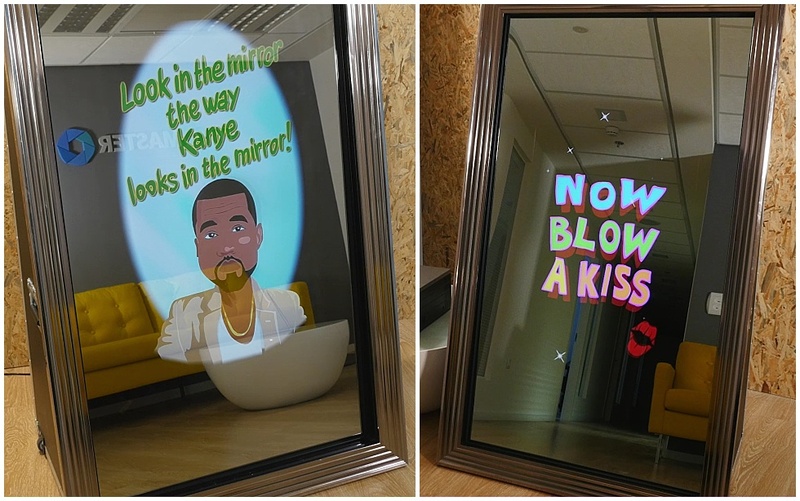 Think of the Reflections Photo Booth as SnapChat IRL. And trust me when I say nothing is more fun than taking the photo booth experience to a new level by snap chatting as you are getting your photo taken. What do people do when they are having fun? They share their fun with the world. Imagine having Reflections Photo Booth at your next event, fundraising or conference. It’s easy to encourage your guests to share their creative, and quirky images along with a designated hashtag. The result? Instant exposure for you and your organization. Although there is more to a photo booth than the entertainment value it provides, it’s the fun your guests will have that will make your event memorable. The Reflection Photo Booth keeps guests busy and engaged. And hopefully, the experience will have them talking long after they’ve Ubered home. Every Reflections Photo Booth rental includes an interactive touch screen, signature on print, emoji stamps, fun props, unlimited prints, a USB drive of all photos, an online gallery for 45 days and a friendly photo booth technician guaranteed to help your guests get in the mood to get their photo on. Reflections Photo Booth is the hot new trend in event entertainment and keepsakes. Make your event stand out and give your guests the time of their lives.